For Arsenal fans, by an Arsenal fan. As you all know we played our final pre-season friendly vs Cologne the other day, comfortably winning 4-0. There were many positives, notably the performances of the three new boys, but also a few negatives including Vito Mannone's dodgy 'keeping. The perfomance, as a whole was quite pleasing, we played as we should play against a team in the German second division, keeping the ball well but also providing some attacking threat and relative defensive stability. 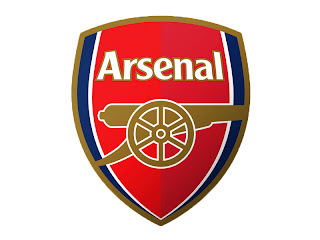 The team lined up as such: Mannone, Gibbs, Yennaris, Mertesacker, Coquelin, Chamberlain, Cazorla, Walcott, Podolski, Giroud. As previously stated, what impressed me the most about the game were the performances of the three new boys, Cazorla in particular. Cazorla looked as if he had been playing in this team for years. He was constantly looking for space to receive the ball, and when the ball was passed with him he was extremely comfortable and made finding a teammate look extremely easy. He 'Bossed' the midfield for the first half in which he played and surely by this showing earned himself a place in the starting against Sunderland. Podolski, needless to say, did what he was bought to do and scored goals. 2, in fact. Podo' looked very comfortable also, linking up with Giroud on more than one occasion, showing us bursts of his pace and demonstrating good strength when on the ball. Giroud was also impressive. Already he looks a more useful player than Chamakh could ever be. He's stronger, he puts himself about more and looks 100x more comfortable with the ball at his feet. As i said he linked up with Podo' more than once, and also let off a few shots, from inside and outside of the box. Arsene made 10 changes at the half time break, bringing on the likes of Gervinho (who managed to grab a goal), Song, Koscielny and Arshavin. Koscielny was as solid and pacy as ever, Arshavin didn't look arsed and Gerv took him goal extremely well it must be said. Sometimes players need a season to settle in and i think Gervinho will be much improved this term. Podolski was the only survivor at half time and played up until 25 minutes or so to go, when RVP entered the frame. He didn't contribute much to the game but whenever he got the ball, boo's rung around the stadium, notably, sometimes from the Cologne fans. I'm fed up of talking about him so all we can do is wait and see where he ends up! There's a link to a short match report HERE courtesy of Sky Sports, give it a read! Arsenal in Spanish club partnership.